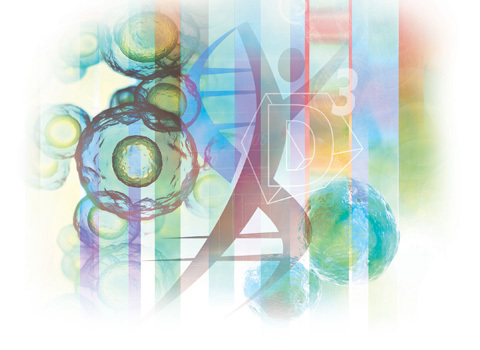 The DHI D3 family of products contain high-quality antibodies that are developed and maintained at a hybridoma facility within Quidel’s DHI facility. These reagents are consistent and standardized giving highly specific and reproducible results. These reagents are designed for use in direct specimen testing and cell culture confirmation. Using the Quidel complete system approach by adding on Flocked Swabs, specialized cells, cultures and medias, and control stocks makes the D3 family the complete solution for your testing needs. D3 – Screening and identification kits for Herpes Family, Enteroviruses, hMPV, and Chlamydia. D3 Duet – One stain, one filter, two rapid results with two fluorescent tags for optimal laboratory efficiency. D3 FastPoint – D3 FastPoint is a revolutionary technology that allows for the detection of 8 viruses* with DFA accuracy in under 25 minutes from specimen receipt to virus detection. FastPoint gives you the accuracy of DFA – direct specimen testing in a rapid timeframe. This allows laboratories to report results within the critical care window. D3 Ultra – Powerful direct virus detection with fluorescent monoclonal antibody stains for detection of up to 8 viruses in cell culture or from direct specimens. *8 viruses are detected in 6 viral groups. PIV 1, 2, 3 are tested in a pool.